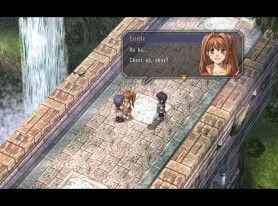 When The Legend of Heroes: Trails in the Sky landed on the PSP in North America, it was effectively a second chance at a first impression. 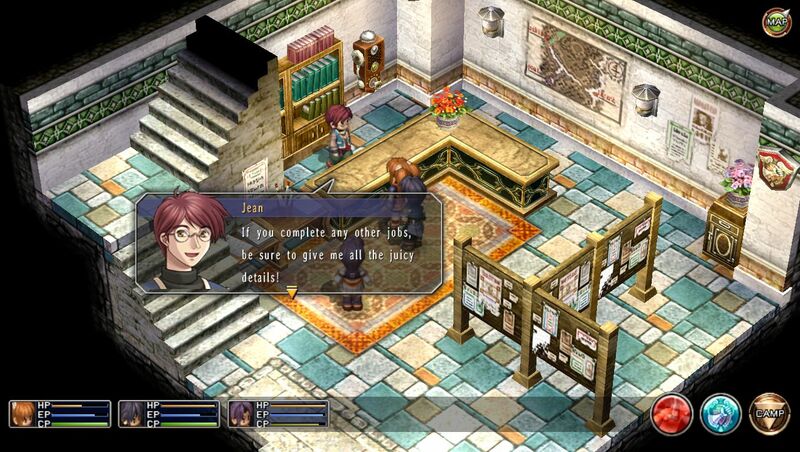 After all, Nihon Falcom’s long-running RPG franchise lost a considerable amount of goodwill right out of the gate on this side of the Pacific with a trio of horribly-translated releases at the hands of Namco Bandai. 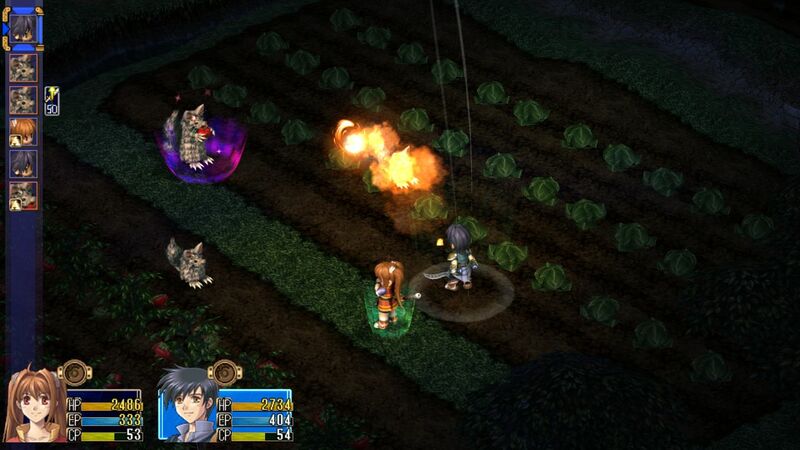 Mercifully, the license changed hands before a fourth release could happen, and Xseed Games made sure that this installment, Trails in the Sky, got the care it deserved. 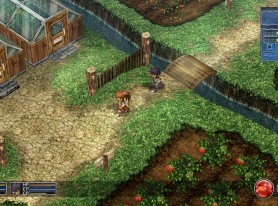 The results were remarkable, as Trails in the Sky went on to become Xseed’s greatest — and perhaps most important — release to date. 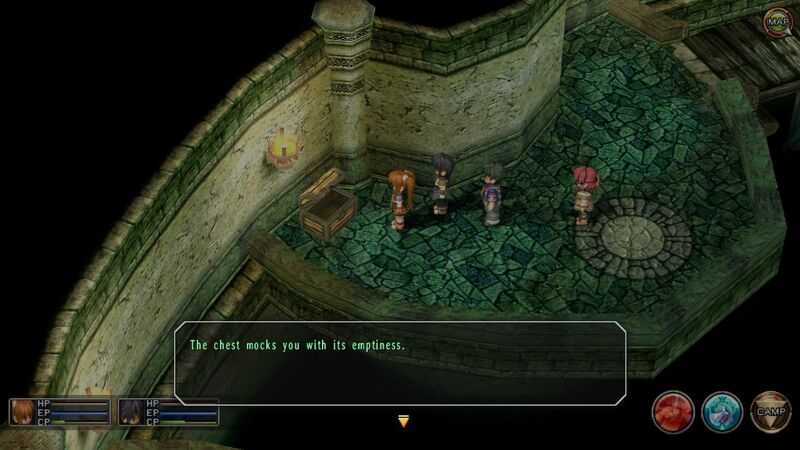 Trails wasn’t born on the PSP, however. 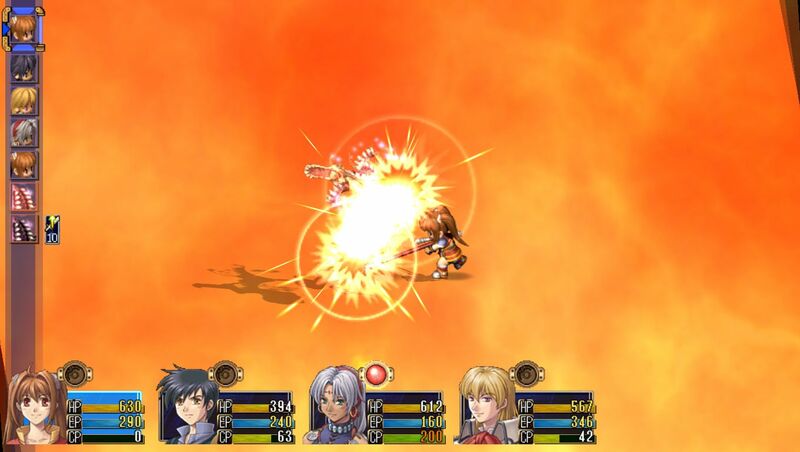 Rather, it found its way there as a remake of the original 2004 PC version, and now, Xseed is going back to the source material in order to provide a true classic to a wider audience. 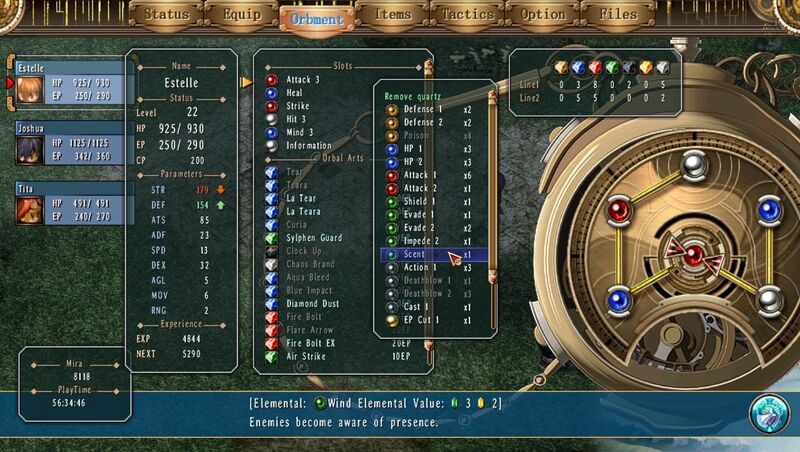 It was very much a labor of love, with Xseed painstakingly going in by hand and updating the original code from a decade ago to run properly on modern computers. So how did it go? Read on. This is coming from Scherazard. Escape while you can. 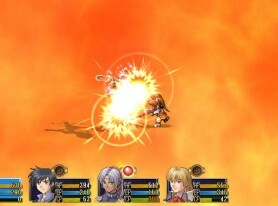 The Trails series, or “Kiseki”, is a spinoff of The Legend of Heroes, which itself is a spinoff of the much older Dragon Slayer franchise. 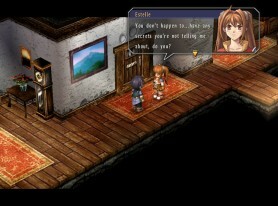 This first installment, Trails in the Sky, follows the journey of adopted siblings Estelle and Joshua Bright. Upon becoming junior members of the Bracer Guild (which is something akin to an international, independent security firm), their world-famous Bracer father, Cassius, disappears from an airship flight on his way to the neighboring Erebonian Empire. This sets the pair off on an adventure spanning the five major territories that comprise the kingdom of Liberl, both to locate Cassius and earn the credentials of full-fledged Bracers. Along the way, they’ll meet one of the more memorable casts of characters the genre has seen over the years, and kick off one of the most lengthy and well-thought-out stories gaming has ever told. 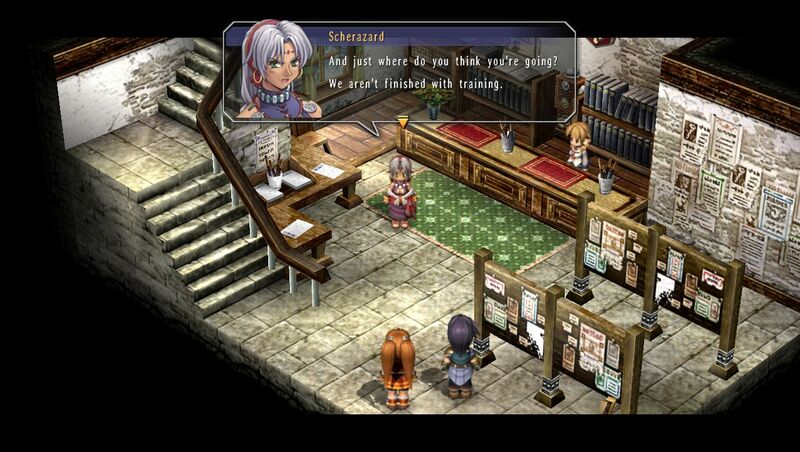 Of course, none of that would matter if the gameplay didn’t hold up its end of the bargain, and Trails in the Sky seems to draw from all the right influences at all the right times. 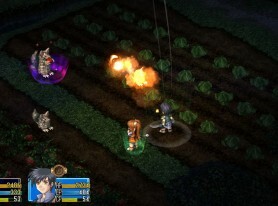 With a storyline worthy of the Suikoden franchise alongside a cast and translation worthy of Lunar, Trails in the Sky taps games such as the Grandia franchise and Final Fantasy X for its battle system, with customization very reminiscent of Final Fantasy VII’s materia. 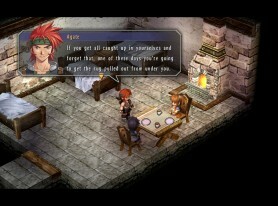 (There’s even a little bit of Chrono Trigger to be found here, although that becomes more evident in future installments.) 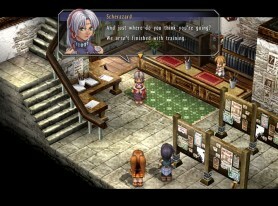 Yet, these influences are only that, and Nihon Falcom never takes any of them too far, allowing Trails to comfortably wear its own unique identity even among the very games that helped mold it. 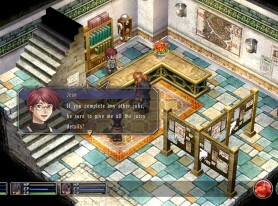 Despite casting delays, Falcom has done a great job of keeping magic (or “Arts”) useful even in the presence of more immediate techniques (“Crafts”). 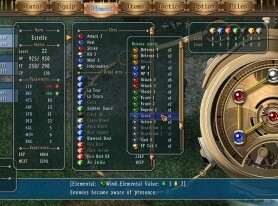 Combat plays out in a CTB-based system, meaning turns are calculated and listed in order on-screen based on every character and enemy’s statistics, and happen one after another without delay. 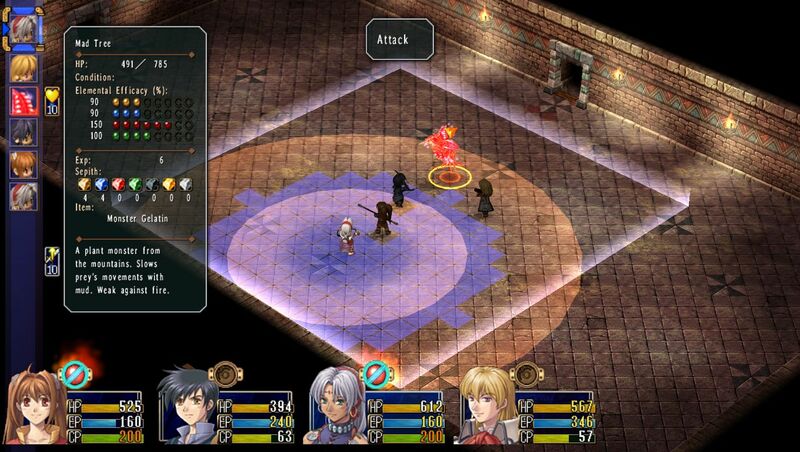 When you factor in the positional elements, it almost comes off as a full-blown Strategy RPG, but it really just emphasizes the importance of proximity, with a lot of area-of-effect mechanics going on. Spells have startup delay, as they do in many RPGs, but there’s no sure-fire cancel mechanic to interrupt a target in the casting phase short of killing them. You can dedicate a slot on each of your characters’ orbments (a sort of “materia board” that serves as the game’s customization system) to a quartz that offers an opportunity to stuff incoming spells, but the success rate is low enough that you can’t depend on it to do that. The only downside to this is that the whole system is like a huge open invitation to all manner of well-thought-out “puzzle bosses”…who never really show up. Boss battles, then, are largely straightforward affairs defined almost entirely by the boss’ stats and skill set. That doesn’t mean they’re boring by any stretch of the imagination — most are still quite fun, but there is a notable sense of missed potential going on here, especially toward the end of the game. 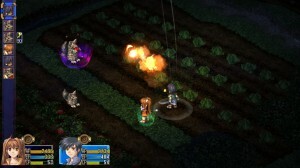 Making Trails in the Sky even more rewarding is the implementation of a New Game + feature, which goes well with the difficulty settings you’ll unlock throughout your plays through the game. 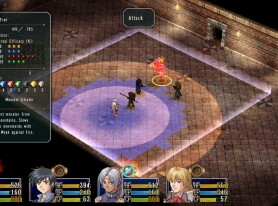 This wasn’t part of the original floor plan on the Japanese PC version of the game in 2004, but was added in by Xseed from the PSP remake. This is huge, and manages to keep the game fresh as you make your subsequent plays through in an effort to earn all 368 Bracer Points for a total completion of the game. This is important, because your save data will transfer to this Winter’s sequel. 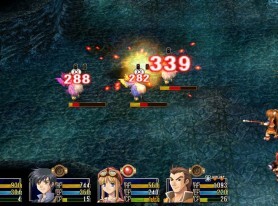 Estelle’s level, up to 35, will carry over to the next game, the script will change at times to reflect things you’ve done in this game, and a 100% completion with all 368 Bracer Points will grant you a quartz to increase rare item drop rates, so it’s certainly worth going out of your way for. The first time around, however, just enjoy the game and take it all in, it’s worth taking your time. 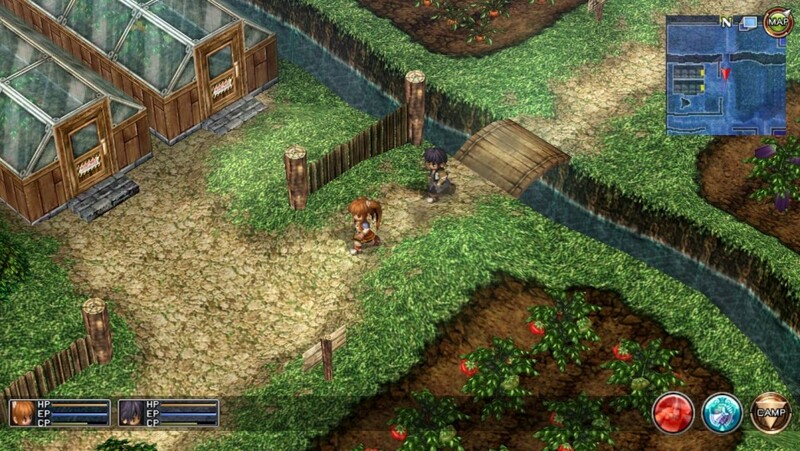 The Legend of Heroes: Trails in the Sky, even as a solitary piece, is a pretty massive undertaking that stands extremely well on its own, especially if you’re a completist. The $20 price of admission should provide upwards of 100 hours of gameplay to those who dig deep enough into it, and even a single playthrough should give you plenty of bang for your buck if that’s all you’re looking for. 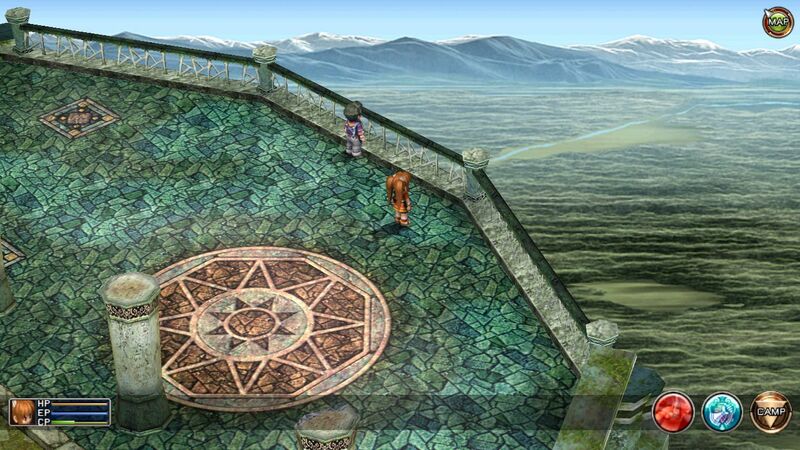 The brutal cliffhanger ending, however, should be more than enough to draw you into the series as a whole, and anyone who arrives with this PC release will even be spared the nearly four-year wait PSP gamers have been subjected to for the sequel. 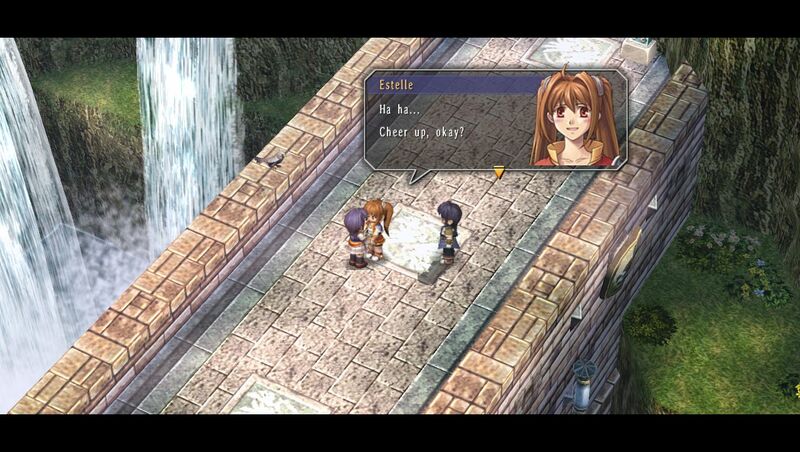 Trails is gaming’s best kept secret right now, and Steam is ready to deliver it into prime time. Don’t miss out. 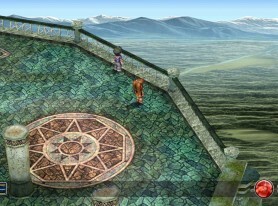 The view from one of Liberl’s five towers. Foreshadowing. 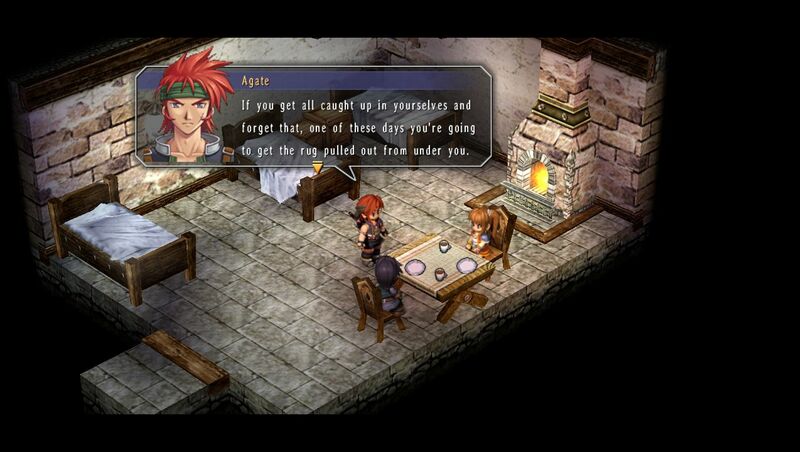 Really, really stupid foreshadowing. 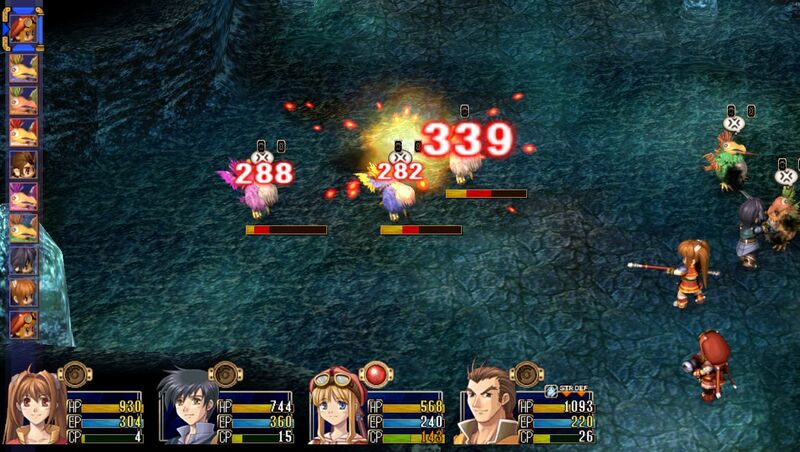 S-Breaks hurt really bad, and can also be used to swipe vital turns from the enemy. Pay attention to the queue and use them wisely. Vaguely familiar and extremely fun. 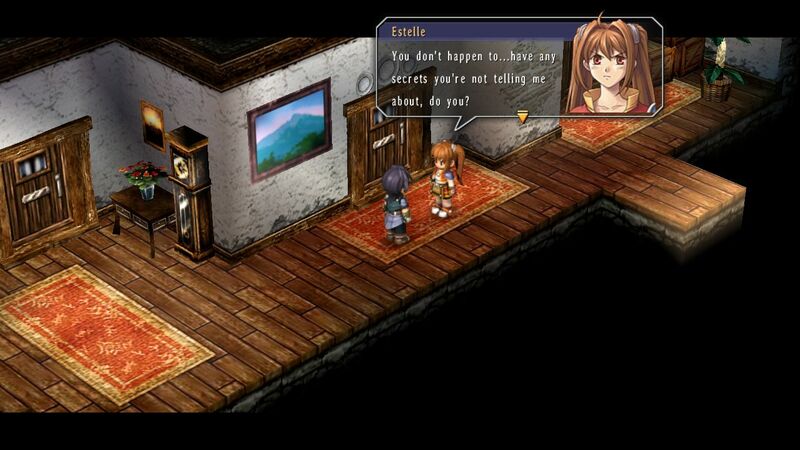 Estelle and Joshua will find friends and allies in all of Liberl’s territories. Tita Russell: Child genius packing an orbal cannon roughly her size. Seems legit. Don’t worry, he’s even more of a prick to your enemies. It helps to check in with the Bracer Guild obsessively between story quests, especially if you’re going for 100% completion. Scherazard knows a thing or two about range. 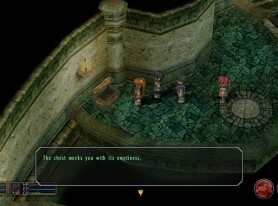 As a testament to the enormous script featured in Trails, every treasure chest in the game has a different “empty” message. If you’ve never been annoyed by farm pests before, prepare yourself. A copy of Trails in the Sky was purchased by the reviewer.